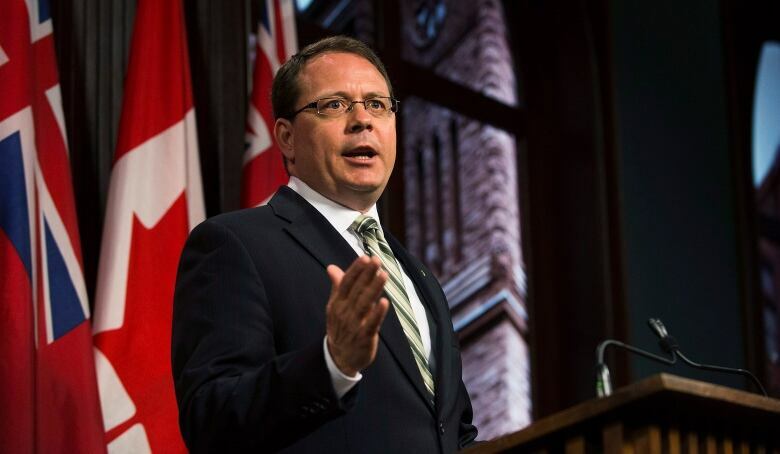 Progressive Conservative Leader Doug Ford says he would "open a big chunk" of the Greenbelt for development as a way to decrease housing prices, but the plan has been slammed as "idiotic" by Green Party Leader Mike Schreiner. Ford says he supports the idea of the protected region but would allow development in some areas to create more supply in the housing market, including more affordable housing. In a video shot in February and highlighted today by the Liberals, Ford is seen talking at an event where he says his party will open up some of the Greenbelt for housing and development. "We will open up the Greenbelt — not all of it, but we're going to open a big chunk of it up — and we're going to start building and making it more affordable and putting more houses out there," Ford said in a video. "I've already talked to some of the biggest developers in this country and again, I wish I could say it's my idea, but it was their idea as well. Give us property, we'll build and we'll drive the cost down. That's my plan for affordable housing." In comments on Monday, Ford said for every piece of the Greenbelt opened for development, he would add equivalent land to the protected area to ensure it doesn't change in size. Ford didn't offer details on how that would work. The Greenbelt, which was established in 2005, is a large swath of land surrounding Toronto and Hamilton that is protected from development and includes forests, wetlands, and farmland. Opening it up for development is not an idea Green Party Leader Mike Schreiner supports. "It's just idiotic," Schreiner said in a phone interview Monday from Toronto. "It just shows that Doug is more interested in lining the pockets of his big developer friends than he is in actually putting the people of Ontario first." Schreiner noted just 20 per cent of "white belt" land set aside for development in the province has been developed. "It's just false to claim that the Greenbelt is causing rising housing prices," he said. 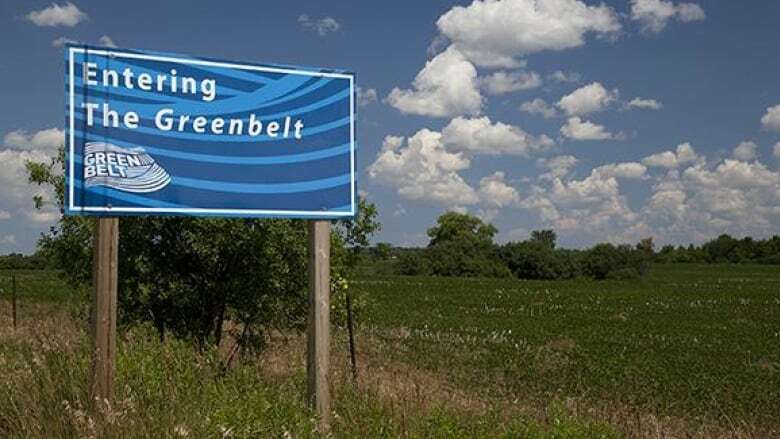 "The Greenbelt is essential to protecting the farmland and the water resources that will provide our food and drinking water for today and for generations to come." Liberal Environment Minister Chris Ballard pointed out the video of Ford discussing Greenbelt development to media Monday and said the land must continue to be preserved. NDP environment critic Peter Tabuns said Premier Kathleen Wynne has failed to protect Ontario's green spaces, but Ford "would be so much worse when it comes to putting wealthy land developers first." "When it comes to creating a livable, affordable province, Doug Ford is saying one thing publicly — and another in private to his big, rich developer friends," Tabuns said in a statement. "We will protect prime farmland from land speculators, and strengthen Ontario's Greenbelt to expand economic opportunities for family farmers and local producers."